Looking to maximize the potential of your S54 engine? 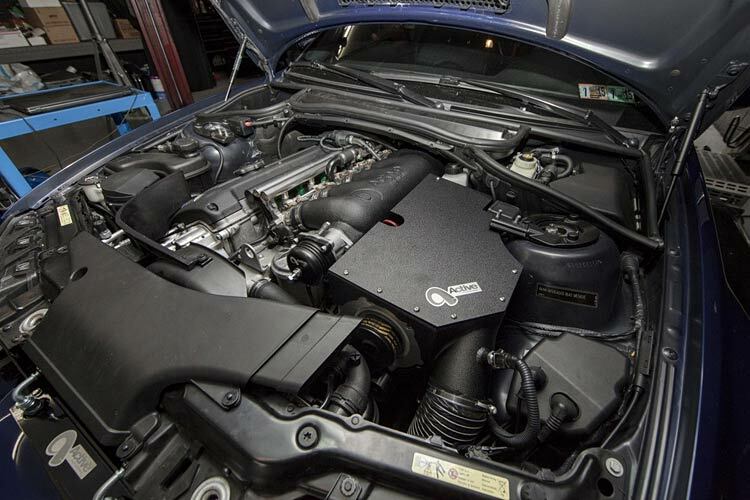 We review the best kits on the market in this ultimate BMW E46 M3 supercharger guide. In the spring of 1985, something huge was being kept under wraps in BMW’s M Division. What soon followed was one of the greatest ever drivers’ cars – the notorious E30 M3. With the E30 M3 sales more impressive than BMW could have ever imagined for a highly-tuned sports car, they then released the E36 M3 to the market. There’s no doubt that Europeans were pleased with their new 300hp modern-day masterpiece, even if it did lack the soul of its older brother. However, the same couldn’t be said for the US, as owners couldn’t help but feel a little shafted with their 240hp offering. Looking for a sweet exhaust to compliment your supercharger? Our E46 M3 exhaust guide was written for you. BMW clearly listened to the disappointment from their neighbors across the pond and righted their mistakes. When the E46 M3 was launched, both markets were given an equally incredible offering – a 343hp 3.2-liter six-pot engine which joyfully screamed its way to 7,900rpm. If this incredible engine wrapped in a stunning body wasn’t enough, those with deeper pockets could opt for the race-orientated M3 CSL. With a 110kg of weight saving and the S54 tuned to 360hp, this daily-friendly stunner would throw you from 0-100kph in just 4.8 seconds. With E30 prices through the roof, the E46 could well be heading the same way. The E30 has undoubtedly deserved its place in the history books, but the E46 was able to take the M Division to new heights and could well become a future classic. The E46 M3 has stood the test of time, and is to this day one of the highest regarded cars available in its price range We’re going to show you how to turn your S54 into the ultimate beast whether you’re hitting the street, or the track! There’s always a strong debate amongst owners as to which FI option is the better choice. If you’re searching for huge power figures or intending to do straight line racing, a turbocharger may well suit your needs. However, if you’re planning to have a usable power-band where you can plant your foot in the twisties without the fear of doing an unexpected 180, then a supercharger is most likely the choice for you. Superchargers provide a far more consistent power delivery with zero lag, providing a satisfyingly broad and predictable torque curve. If you’re looking to stick with the power curve that BMW initially intended, but with a strong dose of steroids added, especially at the top end, the supercharger is the choice for you. Please note that we highly recommend further research for any various additional modifications which are required to run these supercharger kits. To read more about any of these products simply click on the supercharger name or photo. 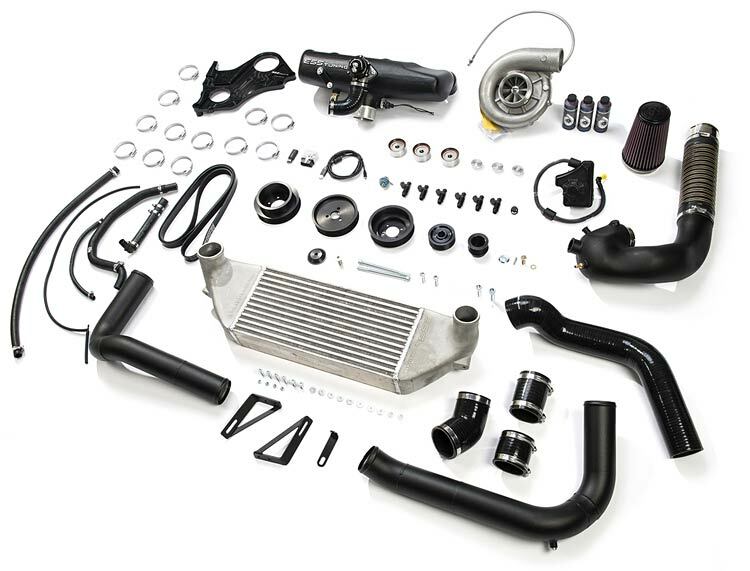 Our comment: VF Engineering are undoubtedly offering some of the best and most popular supercharger kit options on the market for BMW E46 M3 owners. Whether you’re looking for a basic daily-driven street upgrade, or looking for 240hp off-the-shelf gains, they have the perfect package for your needs. Their base-model kit offers an impressive 90hp gain over the stock power at 4-4.5 PSI of boost. This is the perfect solution if you’re looking for a far more responsive S54 with more top-end power without any reliability issues. However, if you’re looking to really maximize the potential on offer, you’ll want to take a look at their Stage 2 and Stage 3 kits. Many delighted owners have run even their highest performing kits for many years with huge mileage and but nothing but praise. Our comment: Next up is ESS Tuning, undoubtedly VF Engineering’s strongest contender and another market-leading option. Once again, owners have been absolutely ecstatic with these kits after thousands of miles of reliable use. Their base-model kit is actually cheaper than VF’s, and also features an impressive 132hp gain over stock at 6.5 PSI of boost. 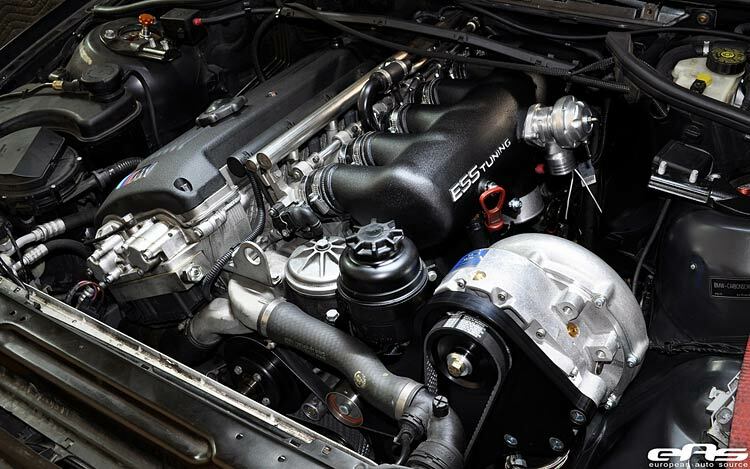 If you’re after a kit with even more power, ESS are capable of squeezing over 775hp out of the S54! Check out their 525, 550 and 575 kits. If you’re lucky enough to own a CSL, they also make a specific kit for your needs. Our comment: TTFS have collaborated with another great tuning house, Active Autowerke to bring you one of the most sought after and affordable kits on the market. It may be a little more expensive than the previous two offerings, but this one option is capable of exceeding over 500whp. TTFS are known for their upgrade options and we have no doubt they’ll be happy to assist if you are planning for more power further down the line. Alternatively, you can jump right in with their Prime Elite choice. TTFS work alongside both Active Autowerke and VF Engineering to ensure a huge range of variety and customization options. Our comment: RMS bring several offerings to the market, with owners having achieved over 600hp from some of their higher tuned setups. Unfortunately, RMS have earned themselves a rather disappointing reputation in the E46 M3 tuning world. For that reason, we would recommend checking out the alternative offerings in our guide unless RMS are able to specifically cater for your needs. Whilst their reputation isn’t great, there’s no doubt that there are many satisfied owners out there. If you’re looking for something a little more than their base-level kit, you can check out their Stage 2 and Stage 3 offerings. 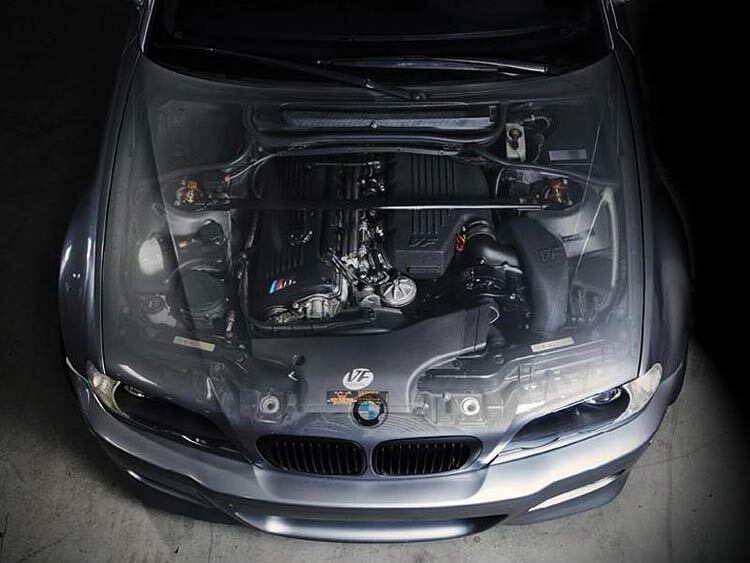 To pick our winner from this choice of E46 M3 supercharger kits, we looked at a number of criteria; popularity, upgrade potential, customer service and also long-term reliability. 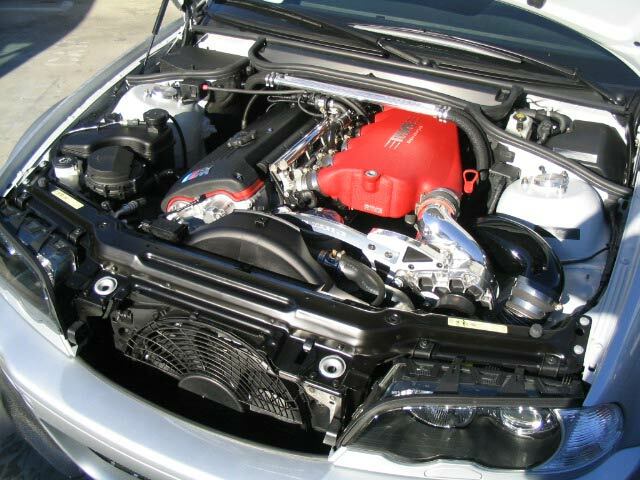 Based on these criteria we have chosen the ESS Tuning supercharger kit to be our winner. This was an extremely tough one to call, and it very much turns into a ‘Coke vs Pepsi’ argument with the two giants, ESS and VF. We strongly recommend doing your own research to conclude which kit best suits your needs, as they are both undoubtedly fantastic and will suit your needs perfectly for many years to come. Our main reasoning for opting for the ESS kit over VF is the price point and because we have heard great things about their customer service, which we feel is extremely important when buying such a niche product. Both are exceptional items which will undoubtedly serve you well! Your going to need to upgrade your suspension to handle all this extra power, our e46 coilover guide is written just for you.